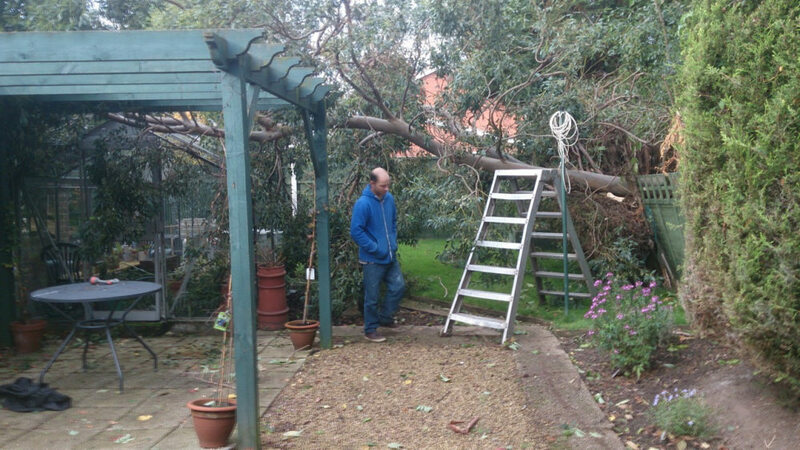 From small tree pruning to large tree removal, talk to the experts at Derbyshire Tree Services today. 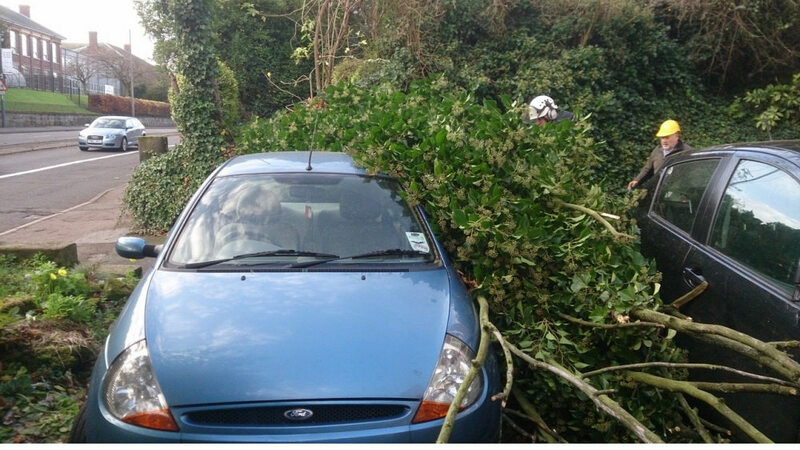 We can help with a wide range of tree surgery problems, including dangerous trees and hazardous branches, with full liability insurance for all tasks. 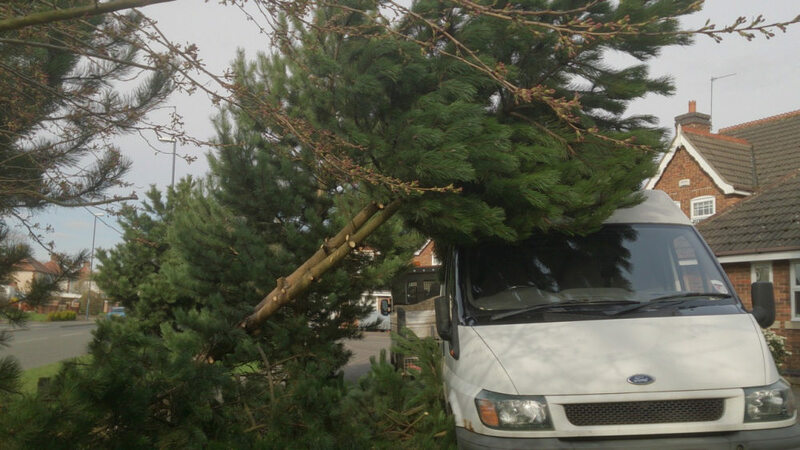 The removal of any large trees, wherever possible are disposed of using a portable saw mill, the resultant planks are utilised for such items as horse jumps and on occasion have been used in furniture. 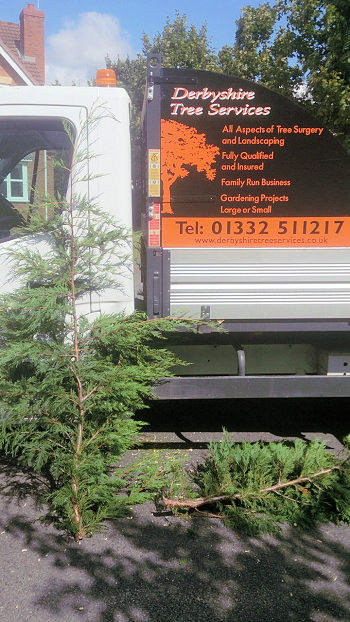 They say that conifers can grow unto two feet a year, well this is a customers conifers, pictured left, had grown 5 foot in 18 months. 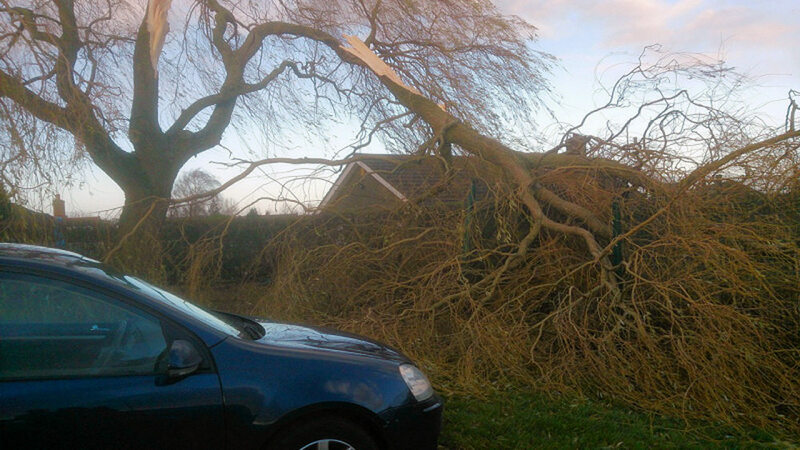 Particularly during the winter months we are called out to deal with storm damage caused by falling trees. Click the image below to see some of the situations we have dealt with.